St. Pius X Catholic Church: Welcome to our parish! 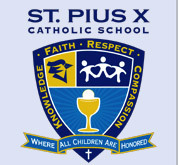 Welcome to St. Pius X Catholic Church and School! For over 50 years now, St. Pius X Parish has been proclaiming the Gospel message and serving the spiritual needs of the city’s south side through more than 30 ministries. We are a vibrant and faithful parish community of approximately 1,500 families, in a city named after the Body of Christ. If you are looking for a place for sound Eucharistic worship and a caring spiritual family that you can call your own, we believe that you will find St. Pius X Catholic Church and School to be just what you are looking for. We invite you to come visit our parish, where it is our hope that you will encounter the dynamic presence of the Living God! Whether you are a long-time church-goer or a newcomer to the life of faith, we pray that your time here will be richly blessed and we hope that you will come be a part of our growing faith community. 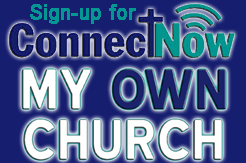 Should you like to become a member of our parish, please visit our newcomer’s page where you can find a registration form that you can place in the Sunday Collection or bring to the parish office. If you have any questions or you would like to have one of the clergy come for a visit, please feel free to contact us. May God pour out his blessings upon you! Please click here to view our Welcome to the Parish video! Divine Mercy Sunday is April 28th. Please come celebrate with us at 3pm. To prepare ourselves for this Feast of Mercy, we will begin the Divine Mercy Novena on Good Friday. We will pray the Novena together in the church on these days: Friday, April 19th after 8:15am Morning Prayers, Saturday, April 20th after 8:15am Morning Prayers, Easter Sunday, April 21st after 8:00am Mass and Monday – Friday, April 22nd-26th, after 8:15am Mass. Vacation Bible School is around the corner, June 17-21!!! We are looking for teens 15-19 to be group leaders. If you are in Confirmation classes you will need service hours and this is one way to get them. All in all it is a FUN time for ALL—those who attend and those who help with the activities. Registration forms are available by clicking here or at the parish office. Click here for map of campus facilities.